Loving and thoughtful actions from adults lead to opportunities for athletic successes! At EducatedCoaches.com we believe it is appropriate to substitute the word children with athletes. 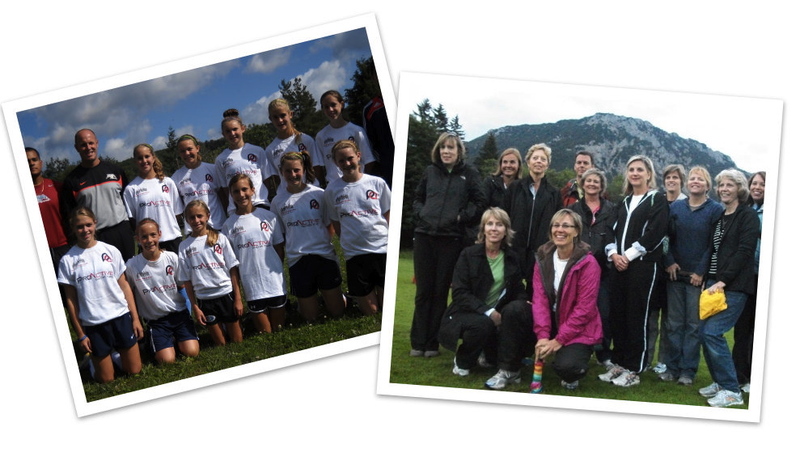 As young children, parents are the driving factor for athletic participation. Watching how mom, dad, and other respected adults (coaches, family members) root for their favorite teams; riding to and from the athletic facility; before, during, and in game behaviors from the parents sideline; as well as expectations for winning or immediate success have a considerable influence on learning what “appropriate” sport and athletic behavior looks like. As important adults in the life of athletes of all ages, we must find the best way to offer support. Sometimes it is that encouraging word before the game, other times it is asking the athlete “Did you have fun” after the experience, and on other occasions it is simply giving them a hug or a high five. A core philosophical principle we live by at EducatedCoaches.com is Be the Person You Want the Athlete to Be. This statement and expectation is appropriate for all adults within the athlete’s life including parents, coaches, family members, friends, teammates, and parents of other players to follow. We want children to love athletics, excel and want to come to training and games, and eventually become coaches themselves. Leading by fear by the coach suggesting a physical punishment for losing and ridiculing athletes for attempting new skills and not yet finding success is not the way to create a healthy, developmentally appropriate culture. Two weekends ago at a U10 soccer game, I witnessed a parent walk over to the teams bench, take over the half time discussion, and announce to the team, “If you all don’t start moving around on the field, I am going to come on the field and pinch all of you.” As I was coaching my game, I turned around to witness this lady in action. This shocking statement can only be a mixed message for the participants as they are just learning positions and how to be involved in the game. These types of behaviors led to the creation of EducatedCoaches.com and I can only hope the promotion of our fundamental beliefs. The athletes support group must be cognizant from an extremely early age that their behaviors have a significant effect on future thoughts and beliefs of the sport participant. Using intentional positive interaction is the only acceptable method for creating this culture of athletic success that will lead to producing balanced and positive citizens, fearlessly ready to make a difference and be societal leaders. Next Post Do You Know Why You Do What You Do? Fantastic insight and awesome example. Threats of pinches have no place on the soccer field.